How good of an amp can I build? Discussion in 'Amps and Cabs' started by monkeyodeath, Oct 10, 2008. The whole build your own amp idea really appeals to me - I have a bit of experience with electronics and soldering and have been doing a lot of research into understanding how amps work. But I'm confused - what makes one builder's clone of an old amp so much better than another's - even if they are using the same circuit? What's the magic that builders like Victoria use to make their amps sound so great? Is it quality parts? Clean wiring? Special transformers? I guess what I'm wondering is, if I buy quality parts, MM transformers, and spend lots of time building a clean, neat amp that follows exactly the old circuit, how close can I get to, say, a Victoria-quality experience? Building my own amp really appeals to me because it lets me have a high-quality reproduction of a vintage amp that I can't afford. But if the big names like Victoria, et al, have some kind of secret that makes their clones that much better, I'm wondering if I shouldn't just keep saving my money for one of those. Any input any of you have would be terriffic! In my view you'll get very close. voltages are voltages - tolerances are tolerances etc etc. They're all measurable, if wiring is neat and well done it's neat and well done. Who do you think wired the original Fenders? skilled workers yes but not master craftsmen. - If the design is there and you make it right with the right components what else is there? pixie dust? This of course assuming you can wire neatly, solder well, read schematics, fault find etc.. and have all the relevant equipment. A lot of the builders have their own take on these circuits. That's the difference between say the Germino's, Reinhardt's, Soultone ect. IMO, they all do a great job. This is a great answer. In addition to components and attention to detail, I would add that to make it great, add 1) a really good ear and 2) patience to the equation. Perhaps this is where the pixie dust comes in! I built a Hunter Two-Stroke amp (modified Tweed Princeton design) a few months ago. I didn't use stellar components - off-the-shelf carbon film reistors and orange drop caps, but it came out pretty good actually. However, it's not near my 65Amps SoHo in sound quality. I know to get it there would require a redo with top-line components, MM transformers, and then the ability to tweak and listen. If I did it again, I'd bite the bullet and just go top-shelf from the start - but living in Australia makes this very expensive! 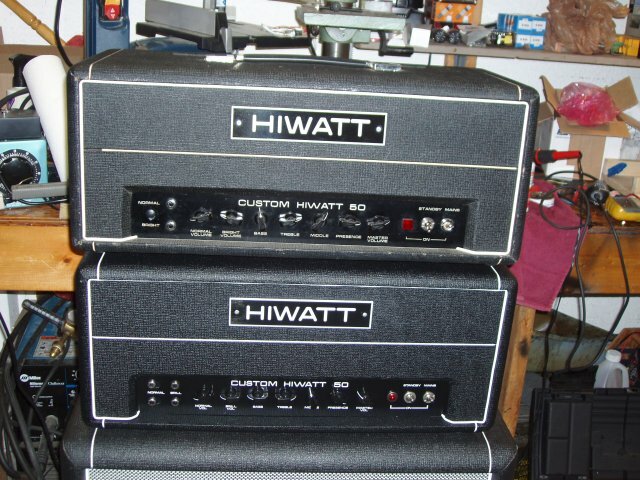 I've buit amps out of junk parts that sound as good as any high dollar model. I've also built some bad sounding ones also, but it ain't rocket science. Just because wiring is neat and looks pretty doesn't mean that's the best sounding way. In fact, sometimes with guitar amps the 'wrong' way (per Hi-Fi standards) sounds best. We are usually trying to get coloration/compression/distortion...even when going for what we guitar players consider 'clean' (which usually isn't even close to 'clean' by Hi-Fi standards). Hi-Fi amps are supposed to reproduce what's put into them as accurately as possible while guitar amps are all part of the tone generating machine. I started by wanting to save money by learning to bias my own amp in the mid-90s...now I've built a half-dozen amps or so and am just about to finish a high-gain channel switcher. My point is that the first amp you build might work and sound good (mine did...Marshall 50W thing...still have it) but I doubt if you're gonna build your perfect, ultimate amp on the first try. It will likely lead to another build...then another...etc. And that's cool...it's a fun hobby. Just my opinion based on my personal experience with it. You can build an amp that'll sound as good as any of the boutique makers' amps, and better than any you can buy from a major. It's not rocket science and given decent soldering skills, careful componant selection, and the ability to plan ahead and troubleshoot if needed, it's easy. The reason one persons (say) Marshall 18watt sounds different from anothers is simply the componants used. One might prefer carbon comps on the PI plates, while another uses metal film resistors throughout. Or Orange drop caps, vs. Sozos. Or differences in the minor tweaks that don't always appear on schematics, but which some people might do in some amps (like a bleed cap across the volume pot). But NOBODY, not Dr. Z, Tophat, GDS, Brown Note, Whoever, knows anything everyone else doesn't know, and any of their similar amps is 95% the same as any other maker's amp. There's just only so many ways to do what needs to be done. So make you own if you have the basic skills, it's a lot of fun, and you will never get more bang for your buck. I built a deluxe 5E3 copy and it's very fulfilling. There's something about "rolling your own" that is just cool. Like the others said, it probably won't be your last, so go with something basic first to get your feet wet. Then when you've become intimate with the circuits, you can start modding. Plus it's fun to tell guys that you built it yourself when they ask what amp it is. Best thing to do is start out simple. If you try and build a more complicated circuit for your first amp you will likely have much more frustration getting it to work. The more complicated things are, the less forgiving the circuit will be in regards to lead dress. i built an AX84 that sounds wonderful (snigle preamp and EL84). I jumped staight to a Wreck type circuit and wanted to jum p off a bridge getting it to work right. Never did. So as moted the simple circuits is a good place to start. work your way up. If was fun until I hit that screaching. If I had to do it over, I'd would not have jumped to far so fast. 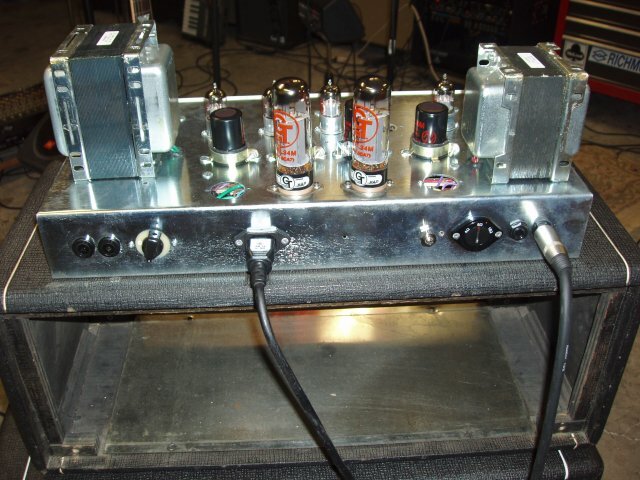 Bottom line is, if you want a clone amp and have experience with an iron, it IS POSSIBLE to build something to the quality of a Victoria or Germino etc, but that absolutely DOES NOT mean that anyone can do that well. Amp building takes more than putting the right component in the right place. 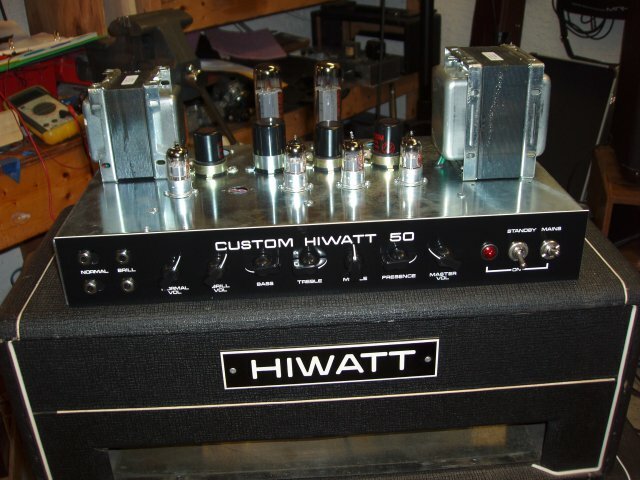 Building your own amp is a rewarding experience. There is no magic pixie dust. If you have the time and patience to do it right and invest in good quality parts. There's no reason your's couldn't be as good as anyone else's, even the pros. Plus if you take the time to really learn about what you are doing and try to understand what the different parts of the circuit do then you will have gained knowledge that can be invaluable to you later on. After taking my time to build a 5E3 clone I've transitioned into buying vintage Gibson and Ampeg tube amps and fixing them up. Almost every one I've bought has needed some kind of service or repair and building my own amp gave me the basic knowledge to be successful at those repairs. The only problem with building, repairing, and restoring tube amps is that it has become more of a hobby for me than actually playing guitar through them. Hey Andre, I think I know what you're trying to say here, but the test would be to give five guys (or two, or fifty) of varying skill levels the same schematic and then compare the results. We both know the quality, performance and reliability of those finished amps would vary wildly. It's easy to say that you or me or anybody else could build an amp that is as good as any boo-teek makers amp; it just isn't true. I'm not saying don't bother to try, or to start with something easier like an automatic transmission rebuild, I'm just sayin' that if you and grandma had the same recipe you wouldn't make the same sauce. In any case, the completed work may not be so much a result of "knowledge" as how the work is done. Knowledge and experience lead the charge, but at some level there is no explanation for the results that some folks get beyond style. Know what I mean? Touch? Anyway, I agree with you that anybody can build an amp, and I'm sure you'll agree with me that anybody can cook. Same thing, not rocket science. I just think it's spectacularly naive to guarantee the freshman attempt will land closer to KF or HAD than possible death by electrocution. I agree with several of the posts. You can build a fantastic sounding amp with basic soldering skills and the ability to follow directions. That said, some basic knowledge is required. Dave Hunters book is an excellent primer on guitar amp circuits and approaches it from a beginner level. My first build was a JTM45 clone and I never looked back. It blew me away! Here's some advice: Start with a simpler design (5E3, Two Stroke) and build it stock. As you learn more, you can tweak it to your specific requirements. Bulletin boards (like this) are a great source of advice since you have an enormous pool of talent to draw (free!) advice from. I am not a complete fool though. Building an amp that I 'might like' is very an expensive risk. The likely hood of recovering much of my investment, were I to decide it is not my cup of tea is nil. So you might save some money building your own... but you might not. "Building my own amp really appeals to me because it lets me have a high-quality reproduction of a vintage amp that I can't afford. But if the big names like Victoria, et al, have some kind of secret that makes their clones that much better, I'm wondering if I shouldn't just keep saving my money for one of those." I've wrestled with this too. I've built amps using not so expensive components and amps with high-end stuff, as well as purchasing high quality repros and boutiques. I realized, 'cause I got bit by the amp building bug, I receive a tremendous amount of satisfaction and pride of playing something that I built. And, in the process along the way, you build an understanding of the circuits that you love and you can tweek and work on them to your hearts contents (which is the fun part for me). One thing, though, is once you start spending money on high-end PTs and OTs, and other expensive parts, your home-brew can start costing more than you realize. I guess, in summary, is I'd say try it and see if you enjoy it. 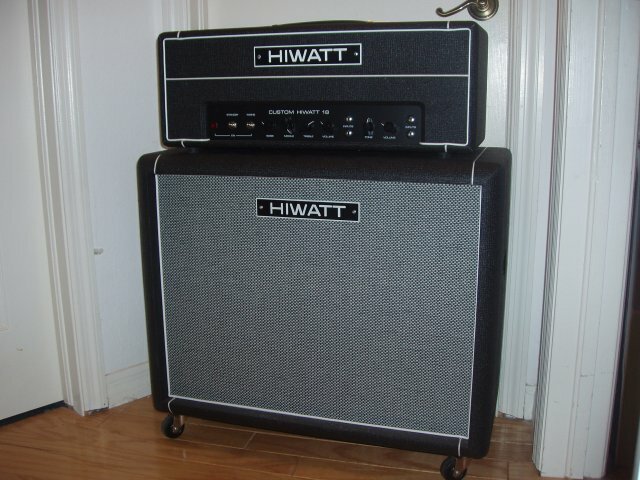 First off, I'm talking about a basic amp design, like a Fender Champ, Marshall 18watt clone, JTM45, etc. NOT about adding special wizzbangers that will scale the plate voltages according to the wind direction or whatever. Just building an amp that is substantially the same as one from the 1960's, using better componants. 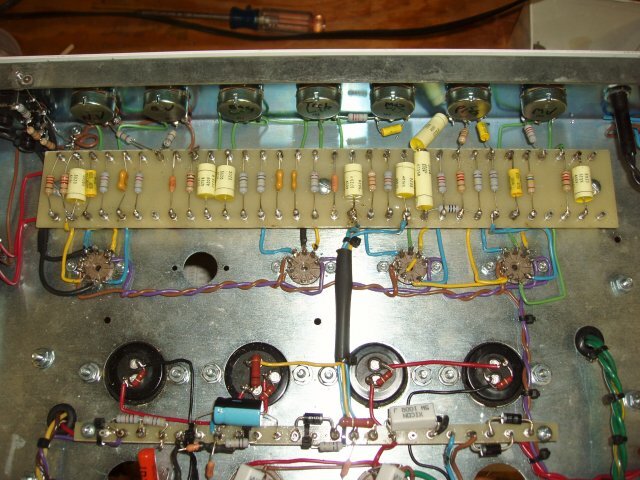 My opinion is that anyone with decent soldering skills, a basic knowledge of how amps work, a known good layout and schematic, and some basic ideas about things like twisting the heater wires and keeping them away from other wires, and the willingness/ability to tweak out any problems, CAN build a perfectly good boutique-y amp that will be better than most you will ever encounter, for well under a grand, and maybe even around $300-600, depending. Like it or not, it happens every day, and lots of people of all exerience levels have built damn fine amps, often on their first or second try, that rival Dr. Z's etc. Is everyone's build quality equal? No, but that's the builder's issue, and doesn't change my point, which is that it ain't rocket science, and if you have the required skills, and a willingness to try, you can build a great amp that NOBODY but a died-in-the-wool amp snob will have anything but respect for. Dr. Z et al, are not performing magic, they simply have a great desegn, tweaked slightly, and applied well, but everything in the amp would be fully recongnizable by an amp tech from the 1960's, transported thru time. 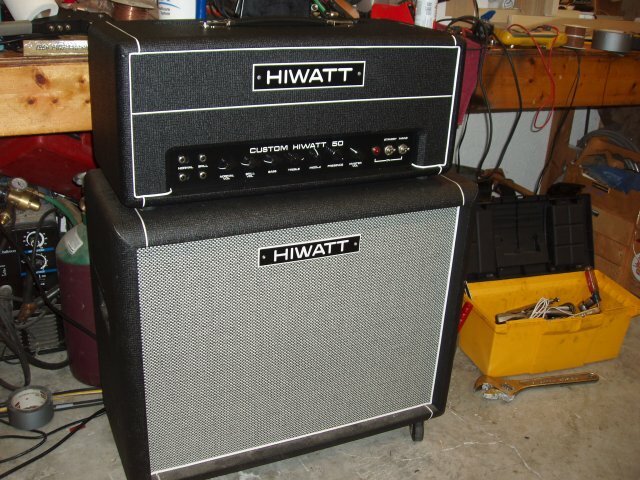 I'd put my 18watt Lite IIb up against ANY boutique amp in quality and tone. And since I don't WANT multiple channels and 12 knobs on the front, the fact that it doesn't have them doesn't detract for me, but makes it even BETTER. It's exactly the amp I want and sounds absolutely gorgeous. Boutique amps are for people who can't build - and since that was the question, Yes, you can build a great amp. And you could add a grand to what it cost me and STILL not be able to buy a Maz 18. Once you have built the amp don't forget the right cab makes a world of difference!! Good components and sound solder/wiring skills will yield a great sounding amp. Start with a amp (kit preferably) that has good following and documentation available. Any of the early Fender, Marshall, Hiwatt etc. stuff is well documented and simple to build. You can also get OEM or better quality components for them, which will help them sound as good as possible. For the British stuff, it's hard to beat GDS, Metro or VHR for good kits with good documentation.